This week's photo is of Rasmus Henning - top bloke, and pretty handy on the bike. His aero position is something to aspire to as well! I’m lucky enough to have just returned from a week of warm weather holidaying and training in the Canaries. It’s a fantastic group of islands to visit at this time of year – we were lucky enough to get blue skies, and temperatures in the mid-20’s every day. I managed to fit in about 25 hours of training during six days, which I was really happy with – but most importantly, I managed to fit it in around our holiday, rather than letting it dominate it. With working 3 coaching jobs alongside my full time teaching job these last few months, my wife and I haven’t really managed to spend a lot of time together – so hanging out together was more of a priority than getting the miles in. The place we stayed at had a bike hire shop on site, so rather than the hassle of packing up my bike, I just rented one for the week. It was a pretty decent Specialized Tarmac, and was fine for the riding I needed to do. I managed to ride every day, even if it was just for an hour. Silky smooth tarmac and –get this – not a single pothole all week! My aim for the week was to get a couple of longer rides in, and I managed this with a 3 hour solid tempo effort ('tempo' being shorthand here for 'on the rivet for the last hour' thanks to the legs of Rasmus Henning at the front of the group - but more on this later), and a 5 hour ride up through the mountains. I finished the mountain ride feeling really strong, which was really pleasing, especially considering that I haven’t ridden outside since the Ballbuster Duathlon in November, and I haven’t ridden on the turbo for longer than 90 minutes. I’ve been a big advocate of ‘reverse periodisation’ for years now and this ride was another example of how well it works. I just don’t have the time (or, if I’m honest, the inclination!) to ride for 3-5 hours every Sunday during the winter, so I ride three times a week on the turbo, but make sure that each ride includes some kind of quality work – either intervals, high/low cadence sets, or TT efforts. I’m looking forward to getting some nice long rides outside now the weather is getting better and I start the ramp up to Ironman Germany. I managed to run every day, including three runs over two hours. Nothing hard or fast, but it was just nice to get some miles in underneath the sun. Swimming was great in the resort – we had three pools to choose from, including a 50m Olympic pool that had the Swedish and Austrian national swim teams training in it twice a day. Whilst inspiring, there were some times where a MOP swimmer like me just couldn’t get in a lane because they were all swimming 1.10’s! Still, I managed to get a couple of decent swims in. One last thing to mention – I’ve been part of the Neovite Test team this year, trialling their colostrum product, and had been taking it for about a month before this big training week. 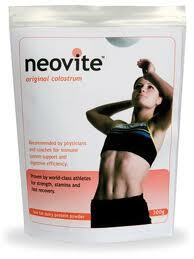 It’s meant to help with immune system strength, and digestive efficiency, when you’re under big training loads. This kind of thing is always hard to prove either way, but I thought I’d give it a go and see how I felt. Having suffered in the past from immune system breakdown when I put in a ‘big week’, I felt that anything that might help would be worth a try. This time, I felt great all the way through the week, and more importantly, I didn’t get sick the next week. I feel like it’s helped me. If you’re interested, check it out at www.neovite.com.